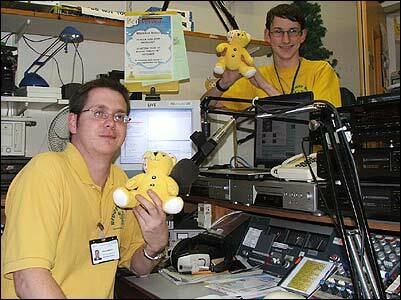 Ridgeway Radio staged a 24 hour broadcast to raise money for BBC Children in Need. Here's a pic of Kieran and Deano presenting. Also taking part was Gary Penfold. 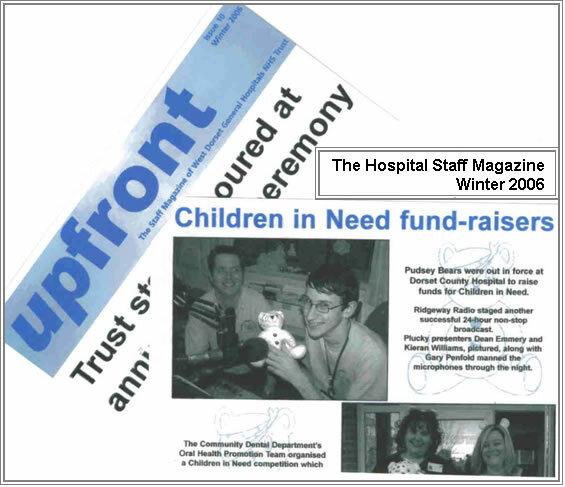 Our broadcast received local covarage on BBC South Today, BBC Dorset and Dorset County Hospital's Magazine, 'Upfront' (see below).